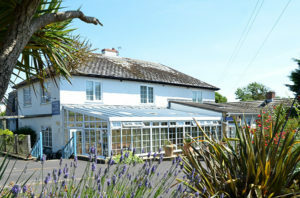 Hensleigh House is a family run guest house located just 300 metres level walk from Charmouth beach, and a three minute walk from the village centre. 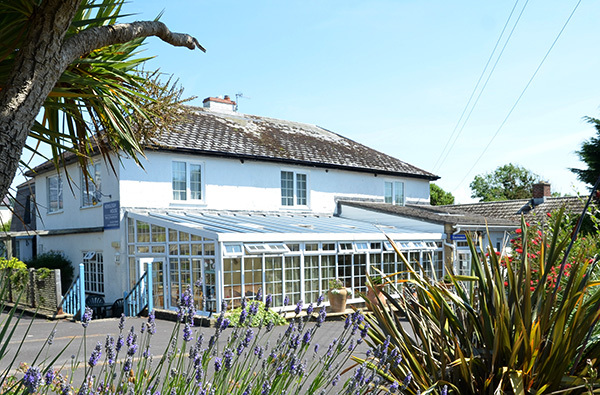 Hensleigh is ideally situated for easy access to all the amenities in Charmouth, and the historic town of Lyme Regis is just 2 miles away. For those who are interested in fossils, Hensleigh have their own display of fossils that the owners have found on Charmouth beach, and also a range of guides and publications to help you get the most from your visit. A hearty breakfast using local produce is served in the delightful conservatory, and light refreshments including cream teas are available during the day. The eight quiet, comfortable, rooms all have satellite television, en-suite bathrooms, hairdryers, and free Wi-Fi. Family suites with two connecting bedrooms sleeping up to five. Full details and photos of all our rooms can be seen on the rooms page of our website. Our Direct Online Booking system shows all availability and allows you to choose your room when making a reservation. OUR FAMILY AND LARGEST DOUBLE ROOMS ARE ONLY AVAILABLE FOR DIRECT BOOKING, and are not available through other bookings sites. If you book direct we also have single occupancy rates (subject to availability), family rooms available as doubles at a reduced rate, and and more room/occupancy choices than are available on third party booking sites. We regret that we do not accept pets.